7 Great Tech Gifts for Holiday 2017 – Whether you’re treating yourself to a Black Friday deal or buying someone a Holiday gift – here are my top 7 picks for the best gadgets and tech you can buy right now. So let’s start with this – the DJI Spark – a Mini-drone you can hold in your hand. The on-board 12 megapixel camera can shoot full HD video and uses 2-axis stabilisation to keep the footage smooth. The Spark is essentially the little brother of the Mavic, it’s about half the size and half the price which makes it an ideal beginners camera drone. It can fly up to 50 km/h, you’ll get a little over 15 minutes of flight time and it even has gesture support – so you can wave your hand and the spark will start tracking you – pretty cool. So the Spark has a lot going for it – but really it’s the size and price which sets it apart. It’s small enough to easily carry in a backpack and starting at around £499 – it’s relatively cheap for a high-quality camera drone – and it’ll be discounted even more for black friday. Next up we’ve got the new Google Home Mini – for just £49 this little smart speaker has the Google Assistant built-in, so you can check your schedule, ask about the weather, play music and control your smart home tech – you can even control movies or music being streamed to your chromecast by voice with this. As you’d expect considering the size, the speaker isn’t going to be the best – the bigger and more expensive Google Home or new 2nd generation Amazon Echo will sound a bit better. But it’s still pretty decent, and for under 50 quid, it would make a great gift. At number 3, and also for under £50 is the new Amazon Kindle Fire tablet – cheap and cheerful come to mind with the FIre 7, which adds alexa support, a better screen and an extra hour of battery life over the previous fire 7. It’s obviously not the slickest or most premium looking, but it’s durable, cheap and is great for streaming netflix or amazon video, reading books on the kindle app or listening to them on audible – or maybe even watching the odd tech chap video on YouTube. I think it’s perfect for kids, as I know I wouldn’t trust my little nephew with my iPad just yet. Although if you do fancy yourself something a little bigger, shinier and more grown-up, the Apple iPad is definitely the go-to tablet right now. For £349, it’s a couple of hundred £ cheaper than the iPad Pro, but has everything you need and is more than powerful enough to run the latest apps and games. So the new GoPro Hero 6 is their most expensive yet at £500 – but it is a big step up over the Hero 5 and i’d confidently say in terms of video quality – it’s the best action cam you can buy right now. The Hero6 adds 4k60 video recording as well as full hd 240fps slo-mo, but most importantly is you get electronic image stabilisation at 4k30 now, on the hero 5 that was limited to 1080p. So you can shoot 4k and get seriously smooth footage. Alternatively, the Yi 4K Plus is almost as good, and about £200 cheaper. It’s not quite as good in low-light as the GoPro, but it’s stabilisation is just as good and it can also shoot at 4k60. So while the GoPro offers slightly better image quality, the Yi 4K Plus is a great alternative and offers much better value for money. Now I travel quite a lot, and on long flights a pair of good noise cancelling headphones makes it a lot better – and the new Bose QuietComfort 35 headphones are one of my favourite tech gifts. They’re lightweight, have a 20-hour battery life and the best excellent noise cancellation. The new QC II’s which have just come out has a few upgrades too including support for the Google Assistant. They’re fairly pricey at £329 and they aren’t the best in terms of sheer audio quality, but I’d still highly recommend them. Moving onto number 6 – let’s talk about games consoles. Chances are you already have a PS4 or Xbox One – if not, now is a great time to buy one especially with sales on and cheaper bundle deals – but you’ve also got the latest PS4 Pro and Xbox One X to consider – both offering more powerful hardware and support for 4K gaming – technically the most powerful console is the Xbox One X, but at £499 it’s very expensive and £150 more than the PS4 Pro. As always though go for the console that has the games you want – but I think what would make the best gaming gift this year is the Nintendo Switch. At around £280 it’s a little cheaper, it’s portable, it’s got local multiplayer, and there are finally some decent games out for it – from Zelda to Mario Odyssey. Sticking with games – one of the hottest gifts this year will be the SNES Classic Mini – designed to look and feel like the original Nintendo console from the early 90’s, you get a great selection of classic games – 21 to be specific, including star fox 2, as well as two controllers and HDMI support so it’s easy to hook up to your TV. Basically it’s a great way to replay some classic games. For around £140 though it’s not exactly cheap, but who can put a price on nostalgia and it’s definitely a cool present for Christmas morning. That’s my top 7 Great Tech Gifts for Holiday 2017. 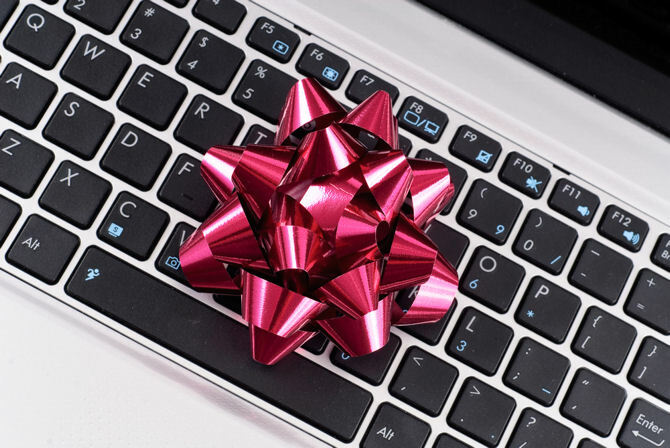 Let me know what gadgety gift you would be most excited for this year in the comments below – and for more on the latest gadgets and tech news, stay tuned to The Tech Chap.